I wasn't in so much of a bubble that I hadn't heard of the Twilight books or the movie. I rarely go to the theater. When I do it's with my husband and usually to see the latest Harry Potter movie. 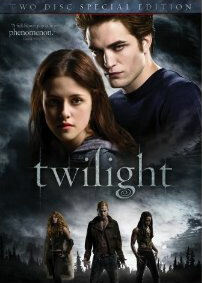 Twilight was released to DVD on March 21. I told my husband that I wanted to see it so he rented it at the local video store for me. On Sunday, my house-all-to-myself day, I watched it for the first time. I think because I had not read the book(s) or any reviews of either the books or movie, I didn't have any true expectations. For this I am so R-E-L-I-E-V-E-D! I can't put into words my immediate and overwhelming fixation with the movie (get to the books in a bit) but promptly after watching it I downloaded the Twilight soundtrack from iTunes. On Monday, my husband bought Twilight on eBook for me. On Wednesday I got the other 3 eBooks. I've been scouring the Internet for all things (positive) Twilight since. I didn't think Robert Pattinson was any cuter than the rest of the young cast members in Harry Potter and the Goblet of Fire. He was attractive, but so young and definitely not SPARKLING! As Edward Cullen though...oh my! He is quite stare worthy. At this point in time I have not become overly critical of the movie. There are definitely issues with continuity, script, and bland performances, but I still LOVE IT! I ordered Twilight: The Complete Illustrated Movie Companion from Amazon and it is due to be delivered tomorrow! I can hardly wait!!! This is the first movie I've watched that I feel compelled to purchase merchandise for. My husband has watched it twice and gave it four stars. So, he likes it, but he likes LOTS of movies. My daughter saw it on Saturday (after my husband and I both issued caution regarding Bella's behavior with Edward.) She LOVES the soundtrack and enjoyed the movie, but she's not obsessed LIKE HER MOTHER IS!!! It's almost embarrassing. I'm not going to admonish myself for this because I think I do deserve this little bit of Twilight happiness. I've learned that Twilight has made me feel youthful and giddy. That swooning feeling ain't bad either! Twilight (5 stars - Loved it!) --Bella and Edward meet. We are along for the amazing ride! Eclipse (4 stars - Really liked it)--Exciting? Yes. Don't understand the whole Jacob detour. Breaking Dawn (3 stars - Liked it)--I would have appreciated it much more had it continued only from Bella's point of view and featured less detail about Renesmee and the visiting vampires. Okay, so there it is. My confession. I won't apologize and I only ask that you be kind. I have a deep seated fear that any negative vibes I get will extinguish MY (Twi) light. I'm a doggy talker, are you? You know, one of THOSE people who talk to their dogs - a lot! If you do, then your dogs probably have KEYWORDS. Those words, when heard in the midst of lots of other words get their attention. I've been thinking about Lizzie's keywords a lot these days. 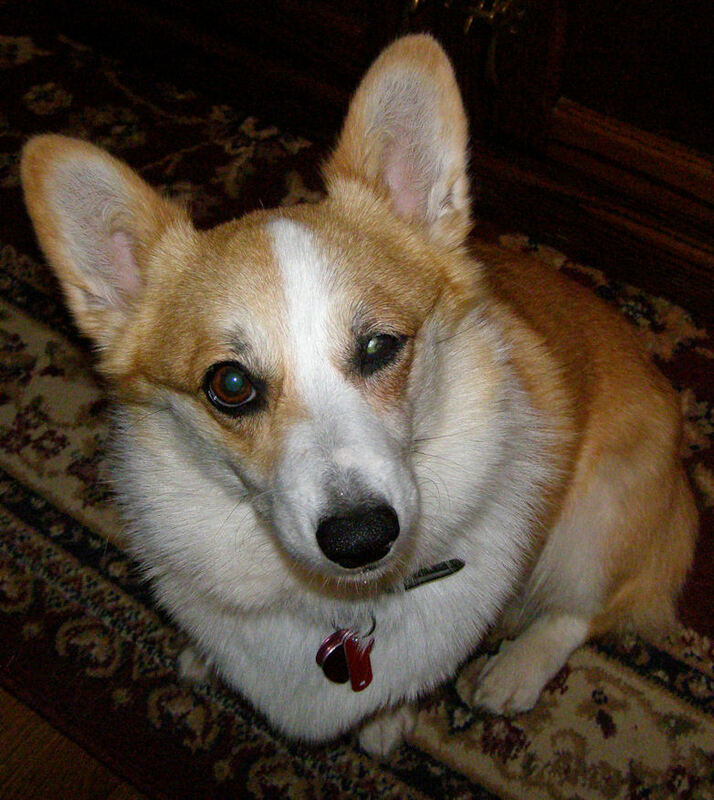 The longer you and your dog are together, the more specific words spark their interest. Of course, changing your tone to a doggy friendly one can assist you in identifying your dogs keywords. "I was thinking about going for a WALK, does Lizzie wanna go for a WALK?" Head tilts, eyes open wide, ears are alert, and then she takes off for the door. I figure she probably hears, "Blah blah blah blah blah blah blah WALK blah Lizzie blah blah blah blah WALK!" Same goes for RIDE, BISCUIT, GOODY, TREAT, GO and a few others. I also noticed how well she knows her "new" name. She was Ginny for almost 5 years and has only been Lizzie for 9 months. Talking to dogs has its rewards, especially when they respond to their keywords so adorably. This week's Saturday Night Genealogy Fun suggested by Randy Seaver at Genea-Musings is to do a surname Wordle. Ooh la la. With my love of PURPLE, how could I resist doing a custom color theme. Thanks Randy! I would love to find what New York county my HILL family left when they moved to Medina, Ohio in the 1830's. I would love to find exactly where all of my Irish ancestors originated. My biggest mystery is my maternal great-grandfather. I'm not even sure what his name was as it was recorded differently on every document I have. It may have been LAU CHONG. He WAS born 03 May 1867 in Hong Kong. He WAS naturalized in Honolulu on 08 Aug 1887. He WAS working as a contractor at Waiakea Sugar Plantation on the Island of Hawaii in 1910. He DID marry Maria Augusta CARVALHO on 09 Dec 1912 in Kaneohe on Hawaii. He DID build their home at 1223 Alani St., in Honolulu. They DID have three children: Rose Lyu, Kui Kyau Lau (known as Hilda) and Alexander CHONG. He DID have a niece, whose married name was Emma (Heu Fook) VICKERY. He passed away from heart disease on 11 Apr 1918 and was buried at Ket On Society Chinese Cemetery in Honolulu. Because of the condition of the cemetery, his grave is likely never to be found. With all of his name variations and my not being familiar with all of the intricacies of Chinese names and culture, I feel he will always be a mystery. 1223 Alani Street Honolulu, T.H.